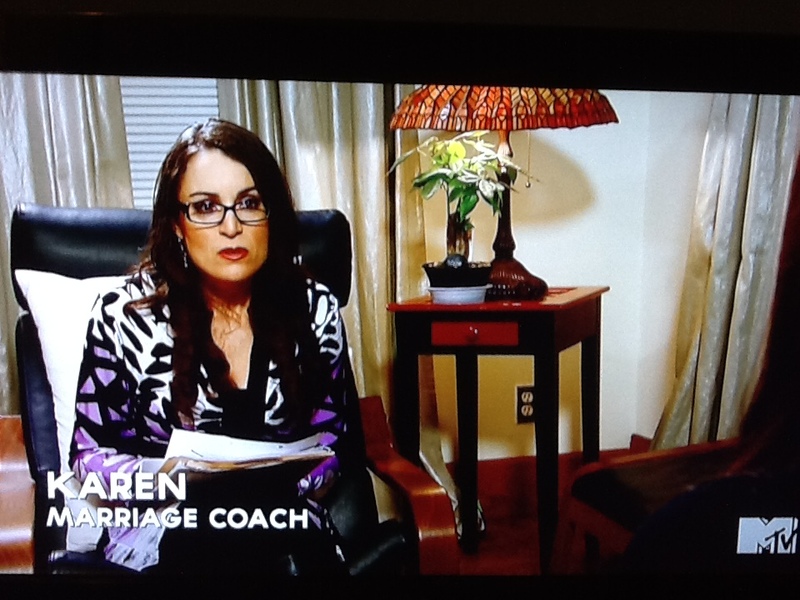 MTV’s new show, the pilot episode of True Life: Save My Teen Marriage, in which I was the helping professional they called upon for my relationship expertise, aired on 6/8/15 for the first time. My participation included my providing coaching for fellow participants: Kyle and Amanda. The show’s premise: 2 couples who married as teens and are no longer teens, take a 30 day break from one another and re-evaluate their future together. During the 30 day break they have the opportunity to receive coaching, which is where I come in. Below you will find my post show reaction AKA scoop, to provide further insight for those who watched the show may not know. And for those who did not watch the show may also desire to know. 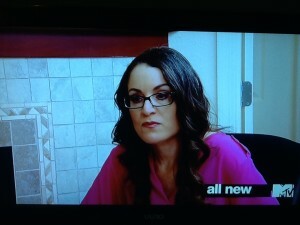 The couple I participated on the show with: Kyle and Amanda, I sincerely adored working with them. They are a precious couple. Note: I never met nor had any involvement with the other couple who appeared on the show. Nor did I ever meet, know, nor have had to date any involvement with the other helping participant. The first time I learned anything about the other couple and the helping agent who participated in the show with the other couple, was during the show’s on air date as it aired, along with all viewers. With that said, the myth that some may have is that as a participant I viewed the final show product before it aired. That is, indeed a myth. On 6/8/15 at 11pm ET when this show originally aired is the first time I saw it as well. Kyle and Amanda’s love for one another was obvious to me from the moment I met them and am so glad I had the opportunity to meet them and participate on the show with them. Although the show’s production team ultimately did not choose to go in the direction of airing all of the coaching interactions that were had, nor as such did not present the depth of the goals the couple and each person within the couple unit had, nor did the show play the interaction between myself and them where I shared concrete tips, tools and advice, I am very happy to see that they clearly depicted that Kyle and Amanda continue to work on their marriage. Remember, as a participant you know going in that you do not have any control over how much or how little of the filming goes into the final product of the show. For ultimately it is up to the producers which direction they want to go in for the show. 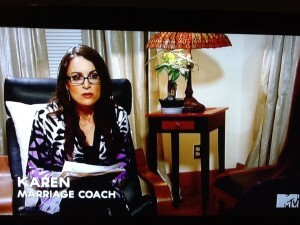 Although I have received many emails within the past 24 hours since the show aired of those inquiring why MTV did not show more of the relationship coaching part, I want to share that it was an honor to work with the show. The de-stigmatization of couples being open to receiving help is a privilege to be a part of, and I value having the opportunity to participate in that. If but there is one point that as a relationship helping professional I would hope could have been expressed, that would be the point: relationships take effort both personally in one’s growth and in the interaction between partners. This is a very important point that I am proud of MTV that I feel they made simply by airing this show. All relationships require work and effort! I am very proud of Kyle and Amanda, and their hard work to continue to be the couple that they know they can be. If you notice Kyle and Amanda each shared an individual goal that was briefly depicted on air. For Amanda is was about growing as an individual so she can be stronger as a mate and as such have a stronger relationship. For Kyle his individual goal was more in the realm of being less focused on self, and mindful of his mate’s voice. I am so happy for them that they were mindful of their goals and I am optimistic that Kyle and Amanda will continue to do what it takes to be the best version of themselves and their couple-hood that they can be. As I shared on air, and I will share right here on my blog. For all couples who marry, whether you marry young or older, the journey of personal growth and development while balancing that growth with being attentive to one’s mate is imperative. Making healthy choices about who you are and can be as a person, while enhancing your couple is a very important piece of the puzzle on your personal and relational life journey. Provided below are 5 tips that you can make the choice to take action on right now. These 5 tips are action items that are imperative if you want your committed relationship to stand the test of time. Although certainly, there are many additional tips and tools, I wanted to share with you, my readers, just but a few specific pieces of advice that I hope will help you to help yourself and your couple-hood move forward in the right direction. Never take your couple for granted. Make healthy personal and relational choices. Put in effort every day to water the plant of self and the couple so that it continues to grow. Take ownership of what YOU can do to enhance who you are and your couple relationship in a positive direction. 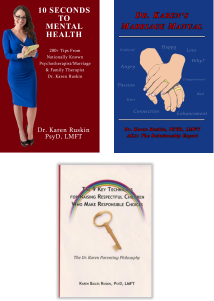 If you are interested in learning more tips and tools in addition to the 5 tips I provide above for how your committed relationship whether married or not, can not just survive but thrive, I invite you to check out my book: Dr. Karen’s Marriage Manual. I gave both Kyle and Amanda a copy, and you are invited to purchase your autographed copy today. Here’s to the growth of self and relationships! You and your marriage are worth the effort, so take action now! Thanks for the 5 tips. I will try to buy a copy of marriage Manual. Thank you for writing in. My sincere pleasure. I adore providing marriage tips! I am very proud of the marriage book I wrote, thank you for your interest. It was my goal to provide readers with everything they need to know for a happy and successful long term relationship.